Check into Nekupe Sporting Resort and Retreat for a chance to stimulate your mind, your body, and your soul. Make a commitment to nature, as Don Alfredo Jr. and Doña Theresa Pellas did as visionaries of this sanctuary. As avid travelers and adventure enthusiasts their commitment to nature is displayed throughout the resort’s core principles of respect and stewardship of the environment. Situated in Nandaime, which means place of abundant streams, the resort is a mere 2 hours from the Augusto C. Sandino international airport in Managua and just a 30-minute drive from the charming colonial city of Granada. The resort lives on 1,300 acres of a nature reserve which doubles as an animal sanctuary, housing more that 158 species of plants, including more than 14,000 trees. The wildlife and fauna is sustained by the reservoirs developed by a team of local experts and ecologists. The sobering aura of the grounds serves as a backdrop for a variety of recreational activities. The La Residencia Doña Theresita is the home base for visitors and consists of a unique combination of a dream home and luxurious hotel setting, offering unmatched attention to detail and most important, privacy. The 24,000 square foot residential compound is suited for 1-2 families or group traveling together. 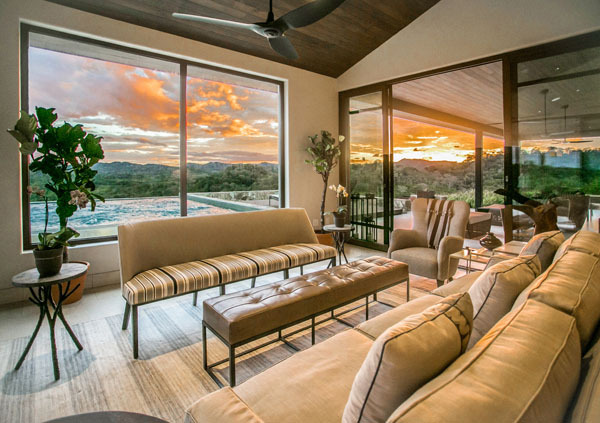 For the ultimate private experience, rent out the entire Residencia which includes a personal head chef, two pools, two private dining areas and kitchens, state of the art media room and poker table, various bar areas and an array of service staff. 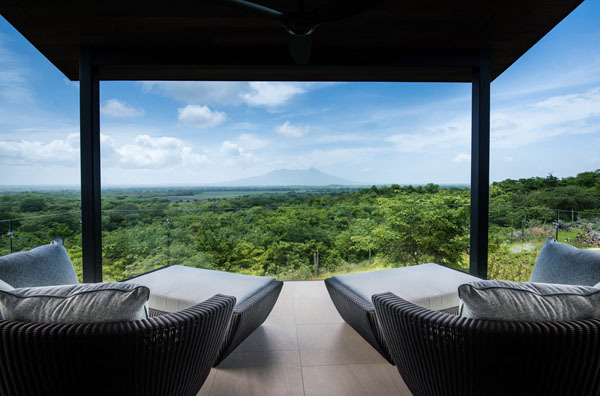 There are four private villas that rest atop miles of forest canopy and offer spectacular views of the Mombacho Volcano. The Nekupe dining experience is a curated, modern take on Nicaraguan cuisine designed to intrigue and satisfy even the most sophisticated palate. All ingredients are sourced directly from the on-site farm, and the menus are seasonal and designed to support a healthy lifestyle, abundant with fresh, local and organic produce. For the adventurous individuals experience exhilarating outdoor activities such as ATV riding, horseback riding, mountain biking, daily yoga and meditation, bird watching, shooting, hiking and much more. Dedicated rangers will follow you and guide you as you reach your possibilities. If you are looking to rejuvenate your body and reconnect with yourself, the spa is a great place to start. The Nekupe Spa offers select native-based treatments. Guests will enjoy views of the sprawling unspoiled setting, listening to nature’s meditative soundtrack all whilst experiencing restorative treatments to have you feeling nourished and restored. The signature massages incorporate traditional techniques with local ingredients to create a transformative sense. Also available are masks and body polishes to help rejuvenate your skin. For all meditation purposes, yoga is the best choice. The resort offers daily Vinyasa flow yoga classes on the Mirador Deck, as well as restorative yoga, Ashtanga, Yin Yoga and power yoga classes. The fitness paths are also great for guests to embark on scenic journeys around the compound offering breathtaking views that will inspire anyone. Art is a form of expression, and at a resort such as this art classes are a must and serve as a fun way to let go and just be. Nekupe offers guests to experience the power of creative expression with painting classes. Cooking classes are also available and teach guests the fundamentals of native Nicaraguan cuisine. Learn to play the Marimba, a musical instrument played at many events or opt in for the rum and cigar tasting to sample some of the internationally renowned rum and cigars, including 12, 18 and 26 year aged rums and cigar varieties such as Padron, Oliva and Plasencia. Hit the road with a Nekupe tour guide who will show you a side of Nicaragua you thought you would never see. 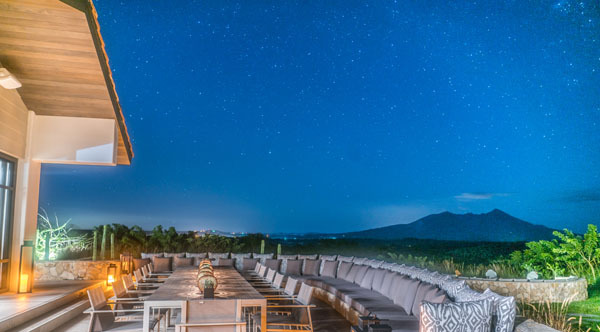 Guests can partake in many off-site activities such as pottery classes, tour of Granada and Isletas, volcano surfing, sport fishing, day trips to Ometepe Island and Laguna de Apoyo or golf at the Guacalito golf course. Whatever your heart desires you will find it there.